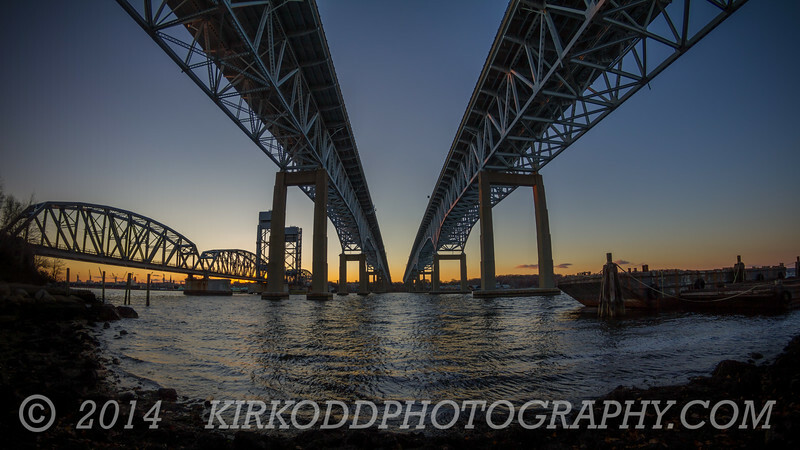 Connecticut's Gold Star Memorial Bridge connects Groton and New London, and is the largest structure in the state. It carries I-95 and US Route 1 over the Thames River. The view from under the bridge is simply awesome, especially during sunset.